Available from Moore Industries-Pacific , ECT-DIN signal isolators are housed in a solid metal enclosure, making them ideal for the continuous daily rigors of process control and factory automation applications. ECT-DIN signal isolator, convertor, repeater, booster and splitter is hard wearing and reliable and is available in 2-wire (loop) and 4 wire (line/mains) powered models. The isolators provide economical solutions for an extensive range of signal interface applications. Amplify signals to enable more instruments to be added to an overburdened loop. 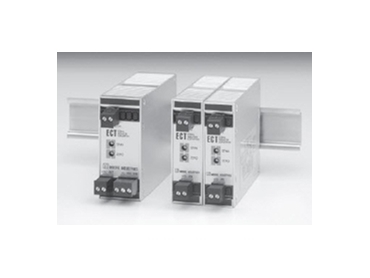 These isolator modules are available in dual channel I/O models that offer application flexibility while reducing space and cost requirements. More information on ECT-DIN signal isolators is available from Moore Industries-Pacific.